In case your students are interested in extra marching activities (both band and guard), check out the upcoming audition dates. Visit their website for all the details. Applications are accepted through October 1st at 5pm. 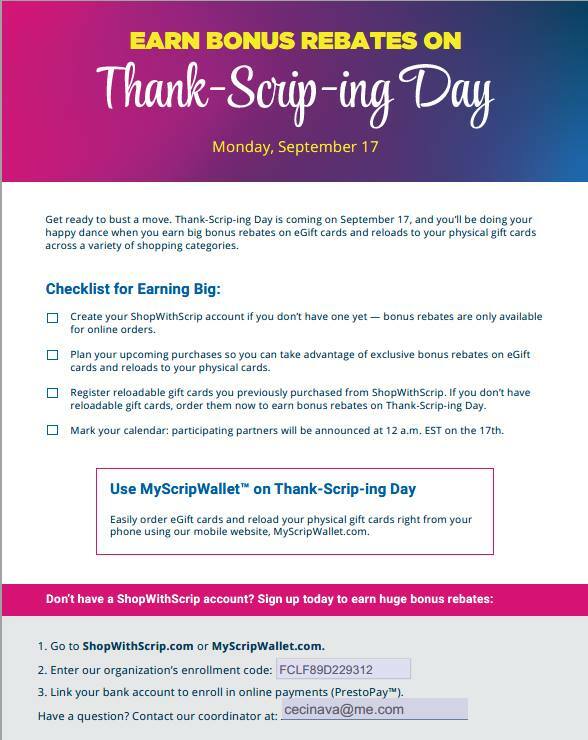 Please note that the signature form must be mailed and postmarked no later than October 1st. Auditions will be held on Sunday, October 14th only! No make-up auditions will be held. Henry Vaughn, senior trumpet, marched with the Rose Parade band last year, if you’d like to ask him questions. Auditions for the summer tour will be December 1st and 2nd at Diamond Bar High School. Please see their website for more info. Auditions for the summer tour will be November 30th – December 2nd in Sacramento, and December 15th & 16th in Southern California. Please see their website for more info. This year we are excited to announce the creation of a 7/8 Winter Percussion Ensemble. This ensemble will be comprised entirely of 7/8 students and will compete locally with other middle school ensembles. This ensemble will rehearse directly after school on Tuesdays and Thursdays. All 7/8 students – Band, Orchestra, and other 7/8 students not currently in the Instrumental Music Program – are welcome to participate and no previous experience is necessary. Winter Percussion Ensemble, or “Winter Drumline,” is the winter equivalent of Marching Band. However, instead of wind instruments on a football field, the program consists of percussion instruments inside a gym. Students will perform a four to five-minute show that will revolve around a theme and will have music and drill that coordinates with that chosen theme. La Canada High School 2014 Winter Percussion performance at WGI Championships in Dayton, Ohio. La Canada placed 9th out of over 50 groups from all over the U.S.
Time management: This is the main skill that Winter percussion teaches. Due to rehearsals being after school twice a week, students must learn to effectively budget their time between rehearsal and homework. This is a valuable skill because the older we get the more responsibilities and commitments we take on. Team Work: Students will also learn how to work as a team towards a common goal. Many jobs today revolve around working in groups. Many general education academic programs don’t revolve around working in teams and stress the success of the individual over the population. Music is different because everyone contributes to the program and there is no hiding if someone didn’t learn their part or is unsure of the drill. Because of this, students learn to work harder for themselves and others to make sure that they are performing at the best level they can achieve. The percussion program will be taught, written, and designed by Greg Power, Benjamin Lewis, and Christopher Truitt. We will be having a parent meeting in the next couple of weeks where we can answer questions and address any concerns. We will also be releasing dates and times for everything, hopefully in the next week, once everything is confirmed. Greg Power: Greg received his Bachelor of Music in Percussion Performance from Washington State University and is set to finish his Master of Music in Percussion Performance at California State University Northridge in December. Greg was a member of the Cascades (2011-12), Blue Stars Drum and Bugle Corps (2013-14) and section leader at Pulse Percussion (2015). Greg is currently the caption head and battery writer at La Canada High School and Front Ensemble Tech at Thousand Oaks High School. Greg assisted the CSUN Percussion Ensemble (2017-2019) and was an Assistant Drumline Instructor at WSU (2013-15). Greg taught the Colts Drum and Bugle Corps (2015) and has been on staff with the Blue Stars Drum & Bugle Corps since 2016. Greg is a member of the Vic Firth educational team and resides in Encino, CA. Chris Truitt: Christopher Truitt is an educator, composer, and arranger from Fresno, California. He received his Bachelor’s of Music degree from California State University, Northridge in 2015 where he studied Percussion Performance. Christopher is an active music educator in the Los Angeles area and has been teaching percussion since 2007. He is currently the Director of Bands at St. Genevieve High School and the Front Ensemble Arranger and Manager for La Canada High School. Christopher has been a composer/arranger since 2013. He has written and arranged music for Marching Band, Jazz Band, Percussion Ensemble, and Indoor Percussion for both Middle School and High School. His Ensembles have earned prestigious honors including SCSBOA, SCPA, and WBA Finalists, as well as ADLA, SCPA, and WGI Bronze Medalists. Chris is a member of the Innovative Percussion educational team. Benjamin Lewis: Currently residing in Pomona, Ben has taught various percussion programs in the past four years ranging in ages from elementary school to high school. He currently teaches at La Canada High School where he serves mainly as the Front Ensemble Instructor and Co-Electronics Designer and Coordinator. Along with La Canada, Ben teaches at Chaminade High School in West Hills serving as the Front Ensemble Manager. Ben has previously worked at Cathedral City High School where he worked as a Front Ensemble Instructor and Electronics Designer and Coordinator. Ben’s previous teaching experiences include Nobel Middle School in Northridge (2015-2016) and St. Genevieve Elementary and High School in Panorama City. Ben’s performance experience includes POW Percussion (2017) and Pulse Percussion (2018-2019). Ben is currently studying Business Finance, Real Estate, and Law at California State Polytechnic University, Pomona. Ben is a member of the Planet Waves educational collective. Tickets are still available for the LACO Concert this coming Saturday! This is your chance to experience this amazing performance! You can’t beat the ticket price of $8! Please send in your payment by Wednesday, September 26th. Checks should be made payable to Yvonne Lim and marked with your student’s name. Yvonne will be distributing the tickets. We have the awesome opportunity to see renowned violinist Hillary Hahn who will be performing with the Los Angeles Chamber Orchestra on Saturday, September 29th at 8pm at the Alex Theatre in Glendale. Our very own Ms. Munday will be performing in the orchestra as well! Balcony tickets start at $52 but due to our special connection to LACO through Ms. Munday, MPA families pay just $8 per ticket! Please email Yvonne Lim, Orchestra Parent Rep, with any questions you may have. Most families missed the pick-up last Friday evening, so our volunteers have scheduled another FINAL CONCERT WEAR PICKUP AND RE-ORDER. This is our last chance to pick up (and reorder) in time for our first concert in mid-October. If you have questions or absolutely cannot make this date, please contact your reps. Their information is at the bottom of the post. 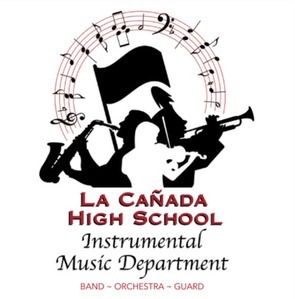 Payment can be cash or check payable to “LCHS MPA,” with “concert wear” and student’s name noted in check memo. Bring your payment to the pick up time, or put it in the black lock box PRIOR to pick up. Payment is needed to pick up items. Return Concert Wear Discount: If a continuing student needs a new size, which is not in our pre-owned inventory, their professionally cleaned, usable clothing can be returned to the Concert Wear Representatives and their new clothing order will be discounted at 40%. Please email a list of items and sizes your will be exchanging, and your preference for new pre-owened items to your reps (see below). Slightly Used Concert Wear: Students may exchange professionally cleaned, gently used items for another size at no cost if that size is available in our limited in-house stock of almost new clothing. If you have questions, please contact our Concert Wear Representatives Gayle Wilkinson and Lori Silverman. Tickets are $20.00 each, cash or check to “LCHS Boosters”. Each student is asked to sell at least two tickets. Extra tickets can be obtained from the instructors. Students who sell additional tickets will have the funds go directly to their student account. Example: If you sell a total of 5 tickets, $40.00 (2 tickets) goes to the MPA; and $60.00 goes to the student account. Any additional tickets go directly to the student, the MPA only takes first two tickets. The tickets are perforated, just tear off the stub off after the buyer fills in their name, email, and phone number. Give the buyer the ticket with the booster logo as their receipt (it has the ticket number on it). The stub (with email, name and number) needs to be returned with payment. ALL ticket stubs, cash and checks need to be returned to Black Lock Box in Band Room! Please put stubs, cash and checks in sealed envelope with student name, class (7-8 Band, 7-8 Orchestra, 9-12 Band, 9-12 Orchestra) written on the envelope. All stubs, cash and checks must be returned by MONDAY, SEPTEMBER 24th, to the Black Lock Box in the Band Room! Please return any unsold tickets to Black Lock Box in the Band Room. I love waking up late on the weekends! Actually, for the last four Saturdays I have had to get up early and attend an 8-hour class so that I can earn my clear California teaching credential. I have to say, this is not what I would choose to do with my Saturdays! However, getting to come to school each day and getting to interact with your kids more than makes up for my busy Saturdays! I wish you all a great week filled with laughter and music! The Concert Wear has arrived!